Kolkata Knight Riders have suffered two defeats in their last two games against Chennai Super Kings and Delhi Capitals. To add to the woes, Andre Russell has suffered an injury. 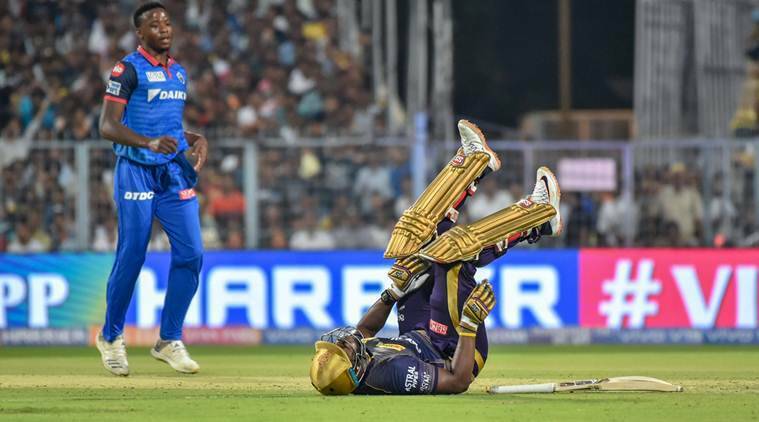 To say that Kolkata Knight Riders have been dependent on Andre Russell so far in the 2019 season of Indian Premier League would be an understatement. The in-form Jamaican has scored six 40-plus scores for the side, has a strike rate of 212.67 and an average of 100.66 in the tournament. If that was not all, the Windies allrounder has turned certain defeats for his side into victories on quite a few occasions this season. The previous two defeats have exposed a chink in strong KKR’s armour – their overdependency on Russell. Once CSK and DC were able to restrict the batsman, they were able to restrict KKR to a less-than-competitive total. For KKR, it is likely to be a big test to beat CSK, if Russell is declared unfit to play. The pressure will certainly be on KKR skipper Karthik, who has not been among the runs this season. The right-handed batsman was the leading run scorer for the franchise in IPL 2018, but is averaging 15.33 this season after first seven games. With the match being played a day before the announcement of India’s World Cup squad, the wicketkeeper-batsman would be eager to get runs on the board and take his side to a win to put his name in the hat for the squad selection. CSK skipper MS Dhoni came under criticism and controversy for stepping out on the field and arguing with the umpires over a no-ball controversy in the previous game. The side would look to move beyond the clouds of controversy and focus on the game. CSK handed KKR a 7-wicket defeat earlier this win with the spinners strangling the opposition’s strong batting line-up. But on a Kolkata pitch that has not helped spin bowling this season, Dhoni would have to depend more on his fast bowlers, which might throw a curveball for the defending champions. 3 IPL 2019 KXIP vs RCB Live Cricket Streaming: When and where is KXIP vs RCB?